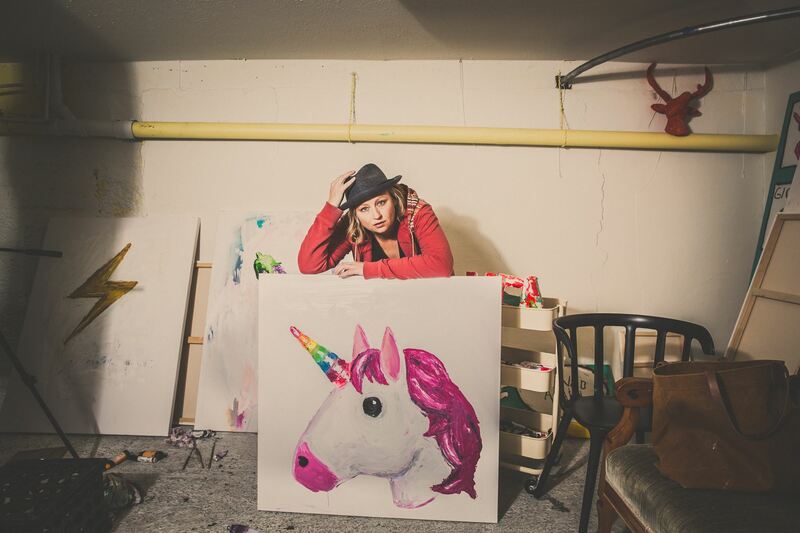 A Fayetteville artist will debut a new series of paintings highlighting the slightly strange way we communicate these days. 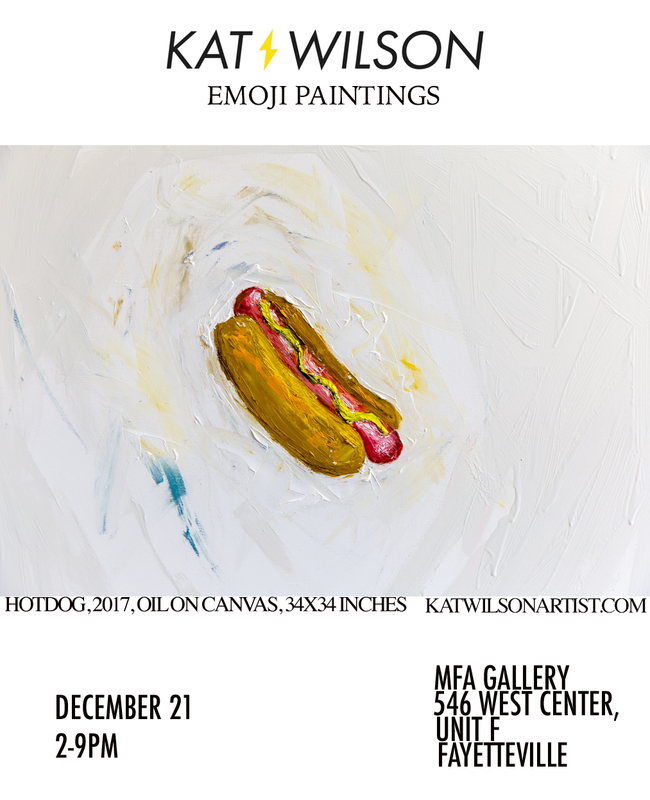 Artist and photographer Kat Wilson will host a new show titled ‘Emoji Paintings,’ featuring her own recreations of the little symbols popularized in text messages and social media posts in recent years. The show is set for 2-9 p.m. on Thursday, Dec. 21 at the MFA Gallery at 546 W. Center Street in Fayetteville. Where: MFA Gallery, 545 W. Center St.
Wilson is well known throughout the state and around the region for her photography, including her series of portraits titled, Habitats, a collection featuring individuals photographed in their homes surrounded by their possessions. She has shown her work all over, including at Crystal Bridges Museum of American Art, Arkansas Arts Center in Little Rock, and in Reno, Nevada, and Chicago, Illinois. Hew new show will include 10 original paintings, each roughly 34″ x 34″, depicting various symbols from the Emoji catalog. Though she isn’t as well known for her painting work, Wilson also revealed along with the announcement of the new show that she has been painting for more than 20 years under the pseudonyms Gar, Neon, and Charro Dorado. Those interested in buying one of the new paintings should probably arrive at the one-day show early (or late, depending on what their priorities are). The Emoji paintings will be offered for sale at an interesting price structure. To begin the show, all the works will be $1,000 from 2-5 p.m., and they’ll drop to $800 from 5-7 p.m., and from 7-9 p.m. they’ll be $250-$500. For more info about Kat Wilson’s art, check out her website at katwilsonartist.com.